Apple just released their latest iPad line up yesterday and among the options is the heavily awaited- gold iPad. Of course, its not real gold, but Apple’s signature gold colored backing has now progressed to both the iPad Air and the iPad Mini. The big question is however, is a gold iPad enough to help push the struggling tablet market back up? The answer remains to be seen as Apple heads into what is usually their highest quarter of the year. Besides the gold plating, the iPads also boast some cool new features. The iPad Air 2 comes with an even thinner frame, Touch ID and will be compatible with Apple Pay. It also has 10 hours of battery life and a M8 co-Processor. It retails for $499 for the 16GB model. 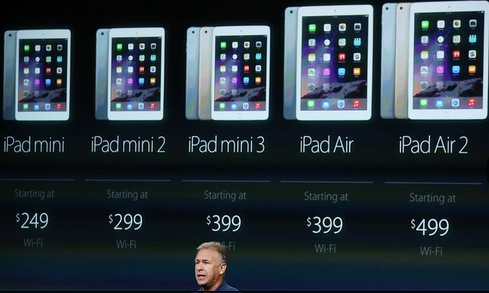 The iPad Mini 3 will retail for $399 and also comes with Touch ID and a retina display. A revamped camera is also included, an 8 megapixel iSight camera to be exact, as well as the on/off button which will move to the side. 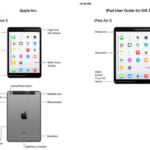 Both the older editions of the iPad Air and the iPad mini will receive a price drop of around $100 each. 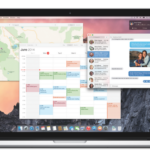 Along with the new iPads, Apple also announced that they would be releasing new iMacs that come with a 3.5 GHz quad-core i5 chip, 5K display with 14.7 million pixels. The new models will retail at $2,499 and up. The new iPads are available to order from the Apple store now.